The NZ Transport Agency’s (NZTA) factsheets provide information on transport safety, standards and processes. All of the latest standards and fact sheets are available on their web site and can be printed directly from the site. TERNZ is an independent research organisation that specialises in transport-related issues. T.A.T.E.S. 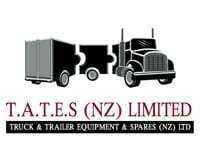 is based in Papakura and supplies truck and trailer spare parts to the transport industry within the Auckland region. To find out more call 09-299 7777. Hendrickson is a manufacturer and supplier of suspensions, brake systems, tire pressure control systems, auxiliary lift axle systems, springs, bumpers and components to the global commercial transportation industry. The fundamental purpose of the TTMF is to further the interests of its members by being actively engaged as a voice for the industry. The TTMF has a major role as a consultation group to regulatory bodies such as the NZ Transport Agency. The Road Transport Association is a membership based national industry association committed to providing support and development for their members and the road transport industry as a whole. HERA creates value through collaboration and being the metal industry stimulus for research, innovation and development. Delivering a trusted national centre for design, manufacturing technology and quality assurance. Gough Transpecs is a supplier of OEM truck and trailer components, and offer a one-stop-shop service to fleets, trailer manufacturers and the new truck sales industry. BPW Transport Efficiency is a leading manufacturer of intelligent running gear systems for trailers and semi-trailers. 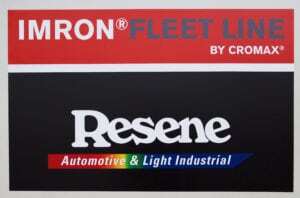 Resene Automotive and Light Industrial is 100% Kiwi-owned & operated national premier refinish distributor of Cromax™, Cromax Pro, Imron™ Fleet Line, Standox and Standoblue as well as Kiwi made products for light industrial, commercial vehicle and marine markets including Durepox. Promech Consultants supply a wide range of engineering and project management services and have professional experience in many work sectors. National Road Carriers is a NZ leading Transport Association, providing advocacy, representation and business support for those who choose to make a living in the road transport industry.